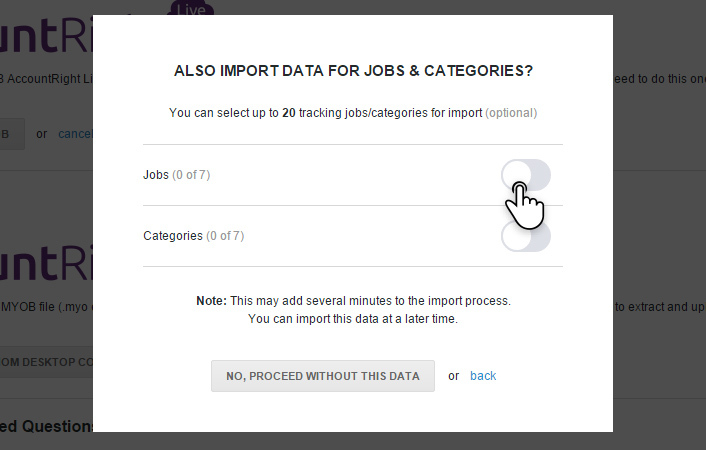 When importing from MYOB, you can optionally choose to also import data for selected jobs and categories. 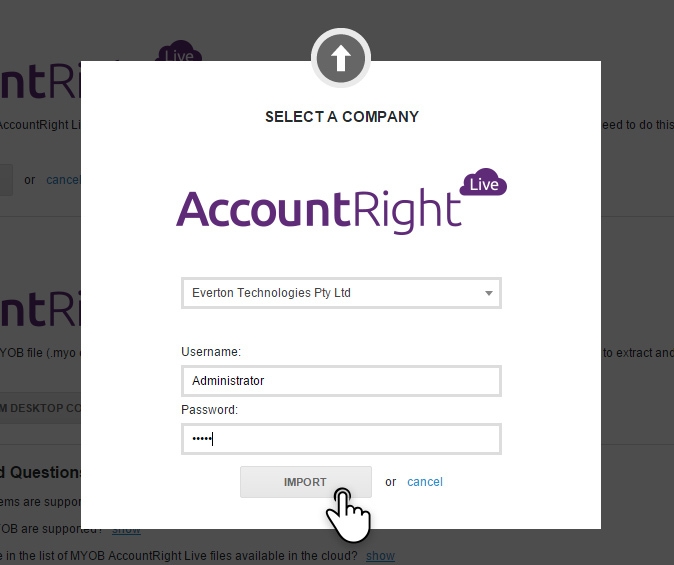 Note: MYOB companies must be stored in MYOB AccountRight Live in order to import job and category data. Select which job/category options you wish to include in your analysis and reports. 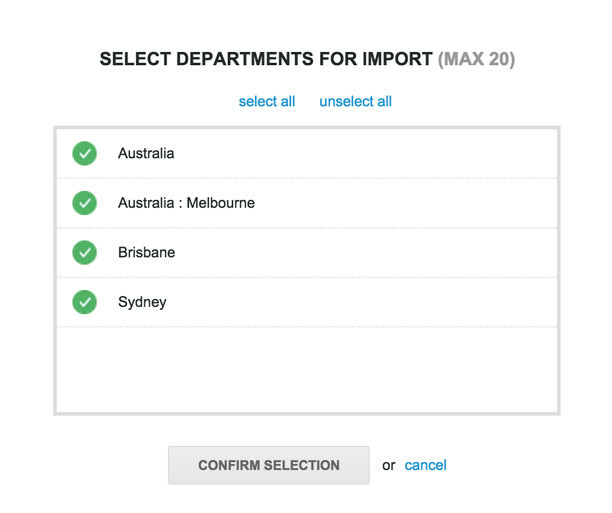 You can select to import a maximum of 20 job/category options per company. Click on ‘Confirm selection’ to start the import process. (The import of data for each job or category option may take up to 1 minute - depending on the number of monthly periods to be imported). While the import is occurring, you can proceed on with using Fathom. Click ‘Continue using Fathom’ to proceed. A notification will appear to let you know when the import is complete. To update the financial results for a company and associated results for each job/category option, go to ‘Step 1 - Update Data’ of the company setup > Select the check box 'Update from MYOB'. 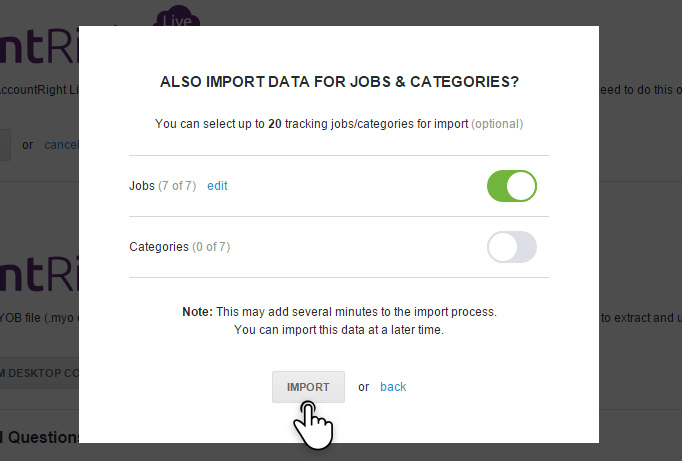 To import job or category data for an existing company in Fathom, go to ‘Step 1 - Update Data’ of the company setup > then click on ‘Edit’ to select which division, departments or locations you wish to include in your analysis.